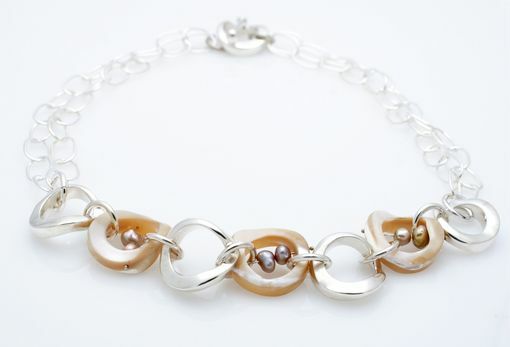 I put together sterling silver and abalone shell links to create this fabulous necklace. The adjustable chain and jumper rings are made of silver as well. I added lovely freshwater pearls to enhance the simple design of this necklace. A silver toggle clasp completes the look of this piece.